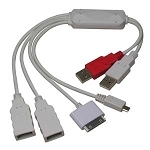 It’s time to gather up all of your USB devices and plug them into one place. 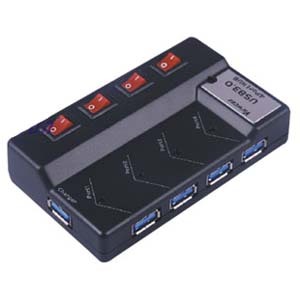 This USB 3.0 4-port hub can power up to four gadgets, plugs into your computer, and even comes with a charger for phones, music players, and the like. 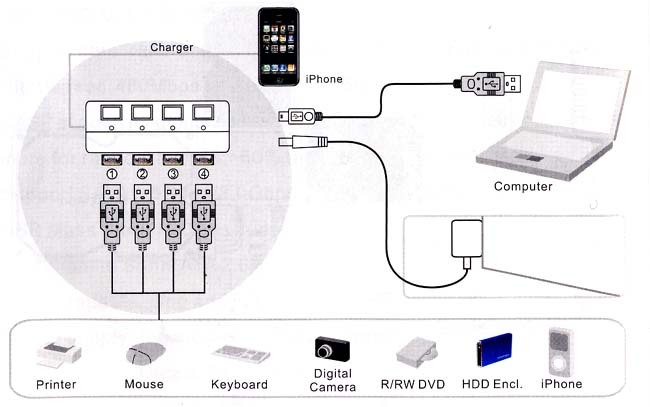 Plus, this power and data center comes with an individual port switch. That means you can save energy by switching the power off to a particular port when not in-use. Transfer data at various rates from a slow speed of 1.5Mbps to 5Gbps. Powered by a single DC 5V battery (included), it’s not too hard to find a replacement power source when energy is running low. 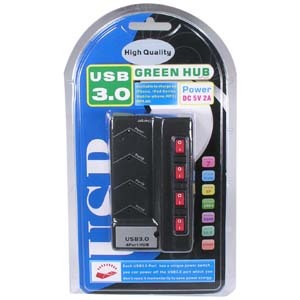 This USB 3.0 4-port hub is an all-in-one power and data connectivity center that has everything needed to manage and utilize your computer and USB devices. For additional information about this product, please click the "More Information" tab.